The Key Home Buying Step that Most Purchasers in Bromley Forget! Buying a house is a complex process; budget, timing of your mortgage application, leasehold or freehold, finding an efficient firm of solicitors and of course finding the perfect home. And once you have found the right house in the right location, you need to make an offer. The asking price is simply a starting point. When negotiating the final sale price, it can be useful to know what essential work needs doing, including the often overlooked state of the electrical installation. You can then get an idea of how much that the work would cost and base your target price on that. Defects of a domestic electrical installation can be dangerous and costly, for example, an outdated fuseboard could lead to damage that requires a complete rewire. Apart from the cost, that will lead to a great deal of disruption to your daily routine too. According to the ‘Electrical Safety First’ website, in 2014 and 2015, over a third of home buyers in the UK discovered electrical problems that they were unaware of at the time of purchase. Some of this was undoubtedly because they were not aware that, in a standard home buyers report (for Bromley or anywhere), there is no provision for electrical checks in a standard house survey. During the inspection, switches, wiring and sockets are visually inspected and electrically tested to make sure they comply with all current standards. You are then advised in the report of work that requires urgent attention or improvement, whether there is anything that merits further more detailed investigation and anything that doesn’t comply with BS7671, the British Standard covering electrical installations. The home buyers electrical report will cost a little over £100 but could enable you to negotiate ten or twenty times that in a reduction of the price, depending on what work is required. All electrical installations deteriorate over time and should be inspected at regular intervals to identify potential problems early, before they reach a point where they could cause injury or death. Even if you have owned your Bromley house for years, calling a professional domestic electrician to check your installation would be a prudent move. This is especially true if you didn’t order a homebuyers electrical report when you purchased your home in the first place. 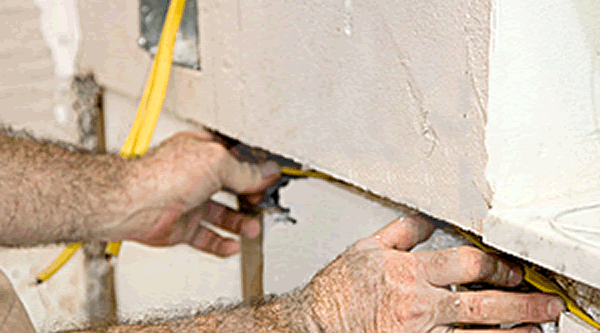 The recommended period between inspections of domestic wiring is ten years. 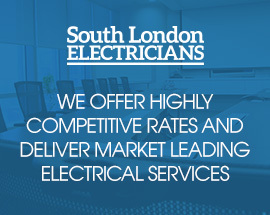 With over 25 years experience, we know the ‘ins and outs’ of domestic electrical installations. Bromley is on our doorstep and so we are fully aware of the usual issues with houses in the borough. We use state-of-the-art testing equipment, so that you are assured of a thorough and accurate diagnostic report. What areas of Bromley do we cover? We cover all areas of South London not just Bromley – from Richmond and Kingston, through Westminster and Chelsea (OK, we know they are north London but we do venture over the Thames from time to time!) to Greenwich and Bexley. And our fleet of electric powered vans have the range also to visit places beyond the boundaries of Greater London – like Banstead, Caterham, Carshalton and Sutton and other locations where bulkhead and amenity lighting is required in Surrey and Kent. So to obtain the most thorough and accurate home buyers electrical report for your money, please call 0208 406 9834. You will be speaking directly with a domestic electrician and not to a receptionist, so you will benefit from immediate, no-obligation professional advice from an experienced installer.